Ladies share special needs and build unique bonds when they are in genuine community and study the Scriptures together. 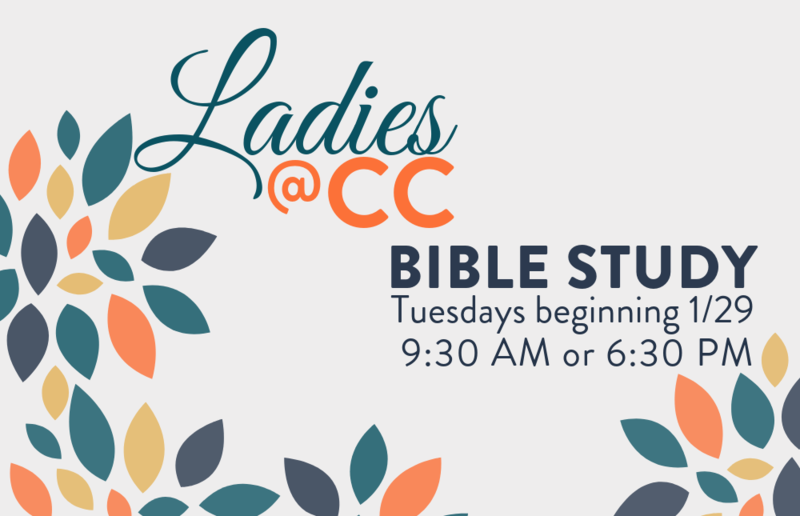 In addition to our Community Groups, we offer a Ladies' Bible study several times per year. Studies vary from topical studies, to books of the Bible, to video curriculum - always centering on Jesus Christ and our growth in Him. Ladies also connect informally to encourage one another. Christmas parties, game nights, and mission opportunities also bring CC ladies together for community and ministry. Our Winter/Spring bible study begins January 29th. Choose Tuesday morning or Tuesday evening classes.